“Although this could be done by hand they wanted the process to be automated and there was nothing that fit their requirements available to buy off the shelf. Their high quality workmanship and ability to innovate were the key reasons the Te Mata Cheese Factory chose ATI to design a perforator to make blue cheese, says Te Mata Cheese director/shareholder Tony Bish. The brief was to design a semi-automatic machine to perforate various diameters and thicknesses of cheese to ensure that it was perforated evenly. 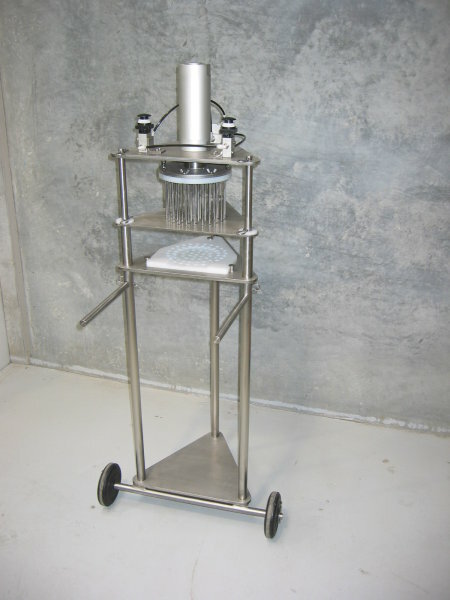 The machine was required to be hygienic and easily cleaned, along with being a safe and simple design to operate.